Great lessons have key characteristics. 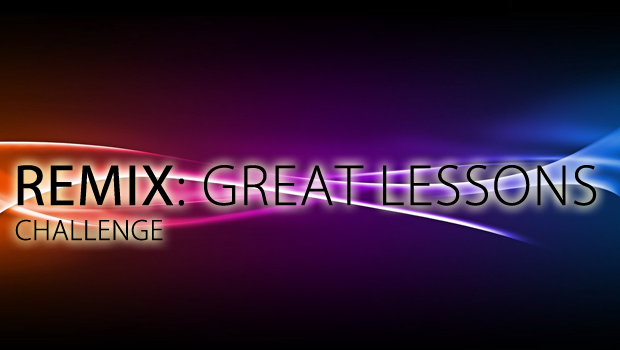 Many edu-bloggers have discussed the characteristics of great lessons but for me, the one person that nails it is as discussed in my introductory post to this series is Tom Sherrington. In his series he discusses the topic in some detail across ten posts. In my series I will be looking at how we can take these ideas and remix them while integrating technology in to the mix; not to take away the classic teaching methods he discusses but to augment them to help bring about new learning opportunities. In this post I’ll be looking at challenge. In many of my talks I take on board something that the brilliant Dr Bill Rankin spoke about in a recent keynote I saw of his. He links the idea of challenge to the game of Sudoku. In his presentation he asked the audience if they were Sudoku players. A few put their hands up. 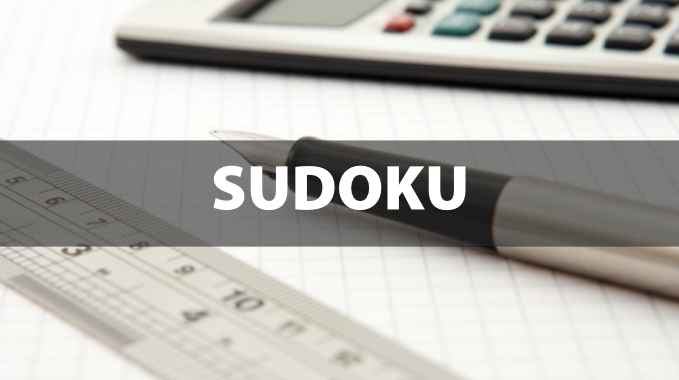 He then asked the questions – would you rather have an easy Sudoku puzzle to complete or a more complex one? Of course, the response was that they would prefer a more challenging task. Through the struggle of completing challenging tasks, so more learning can take place. With this thinking in mind, if we translate that to games which hold more interest to children, we see the computer gaming industry holding massive impact upon young people. When we look at the games that young people play we can see within them that when you play the game, the game itself often teaches the player the rules of the game, the buttons to press in order to exact certain responses from the character you’re playing with. As you play the game, so the level of challenge increases. The levels get harder. The ability to complete levels increases in complexity and become much more demanding. There’s a lot from this that we can learn as educators. Young people don’t give up in the games when they die or lose a life or fail at a level. They learn and hone their skills in the game so that they can get further on in the quest within the game. They are intrinsically motivated to push themselves further and further to get deeper in to their game. If we as educators can take this process and embed this within our classroom practice then we can use this to motivate our young people. Rather than err away from giving young people the opportunity to fail, we should embrace it. The process of doing this isn’t new. It’s been talked about for a long time and it’s called ‘gamification‘. We can see it in lots of different learning platforms. So what are the key aspects? We can take these elements using technology in the classroom ourselves to intrinsically motivate our students. 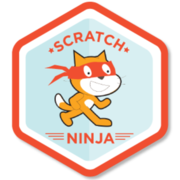 We can give them digital badges made ourselves using Apps such as Credly. Some platforms such as Edmodo allow you to give digital badges within the classes you set up. We can gamify lots of different aspects of the classroom learning activities, provide scaffolding to support students in their approaches to the tasks. Exemplify this to our young people before they begin their ‘learning quest’. We can then support them as they work through completing their levels. This doesn’t have to be a technology based quest, not at all, but we can learn from what technology does to motivate students so that we can motivate them within the classroom. In multi-player games there are often elements of competition between other players such as in Mario Kart where you race against other players. Sometimes too, such as in RPG (role playing games) there is the need to collaborate and to use the special skills of certain players within your collective. We can create opportunities for competition using technology in many ways. One of my favourite ways is to use apps such as Socrative, where either I or students create learning quizzes where students can pitch their knowledge against each other in things such as space races. Their desire to win the space race while they answer the questions and look at the collective progress of the group on the main screen is palpable. We can facilitate the collaborative effort of a team too through different group based activities supported by technology. Google Apps for Education allows for a plethora of opportunities for collaboration across the Google Docs suite and in many other Apps that are on the Play for Education store. Another way that I try to intrinsically motivate students with their learning is by giving the element of choice. This allows for high levels of challenge but gives some of the ownership of the development of the challenge to the young person. Taking on board Rankin’s Sudoku question. If I ask a young person to complete a certain task a certain way compared to asking a student to complete a task in a way that they would prefer – whilst still requiring the same level of depth of knowledge, understanding and skill to complete the task – is that young person going to be more or less motivated to complete the task? In my experience, giving students an element of choice yields much better results. It is always interesting to see the results come in as well with a multitude of both analogue and digital responses. Of course, there are times when only an essay will do – it is imperative upon us to give students the opportunity to learn about essay writing and responding to questions correctly in order for them to be successful in their examinations. As teachers though, we can help by creating intrinsically motivating learning sequences for our learners. Deep end instructions: creating web quests or QR code treasure hunts are great ways to push the challenge on to students. Here’s the web-quest – off you go! You can make these using tools such as Live Binders or Gooru. Struggle time – set students tasks that are scaffolded, yet beyond their current level of skill or knowledge. Make them struggle. Make them use the technological resources at their fingertips. Put the task to them and then ask them to share their results on something such as Padlet or a shared Google Doc. Probing questions – you can read more on this here. Synoptic tasks – use collaborative technology with your colleagues and link together the working from different subject areas together. A project I did once involved students completing work from four different subject areas (Art, English, Maths, Music) to generate a book using Book Creator that they then made in their ICT lesson on a single topic. Creating bonds between the subject areas helped the young people to see a deeper relevance in their work and tied their thinking all together. Referring to the section on authentic tasks earlier in this post too – students were delighted when they finished their books and were then able to publish these online and share them with their families and friends. It was a massive motivator for them! Problem solving – there are a large number of subject specific apps that can help with further developing problem solving in subject areas. Personally, I’m not a massive fan of them, but I have seen them work well – particularly in Mathematics. I like to see technology that can be embraced across multiple subject areas such as Explain Everything (EE). Here you can set complex problem solving activities which students then need to respond to in EE by explaining their response and recording it in a video while they demonstrate on screen their response. This is subject specifically technically demanding but an activity that will work in almost all subject areas. Self-directed progression – this is mentioned before in this post with deep-end instructions. Creating learning pathways for students can bring high levels of challenge and adding in the element of choice is helpful. The take-away classwork tasks as devised by Nina Jackson are an excellent way of ensuring great coverage but that challenge is embedded from the offset. Pace – there are lots of ways in which you can inject pace in to your classroom. The easiest one I find is to simply type x second timer in to Google and it will give you a timer on screen. Boom! You could alternatively use the timer on your mobile device giving students reminders as the countdown progresses. You can play the Countdown theme tune via YouTube or simply play a piece of music – ‘by the time this piece of music finishes you must be done!’. Without pace students can dawdle and be slothful – inject some pace in to your classrooms using technology to simply enhance the work that students are doing. Reciprocal teaching – I mentioned Explain Everything before. There are lots of different apps you can use to embrace this kind of activity; Puppet Pals HD, Sock Puppets, a favourite of mine ‘Shadow Puppet‘, Tellagami – there are loads of them. The idea is though, whichever you use, there is high challenge involved in asking students to create learning materials for others. They have to know topics inside out, back to front, upside down. The results are so public too so students are well motivated to do a good job. Also try too reciprocal questioning – Socrative for example is brilliant for doing this too. I hope these have given you some ideas for how you can inject some challenge in to your classroom by remixing in some technology. 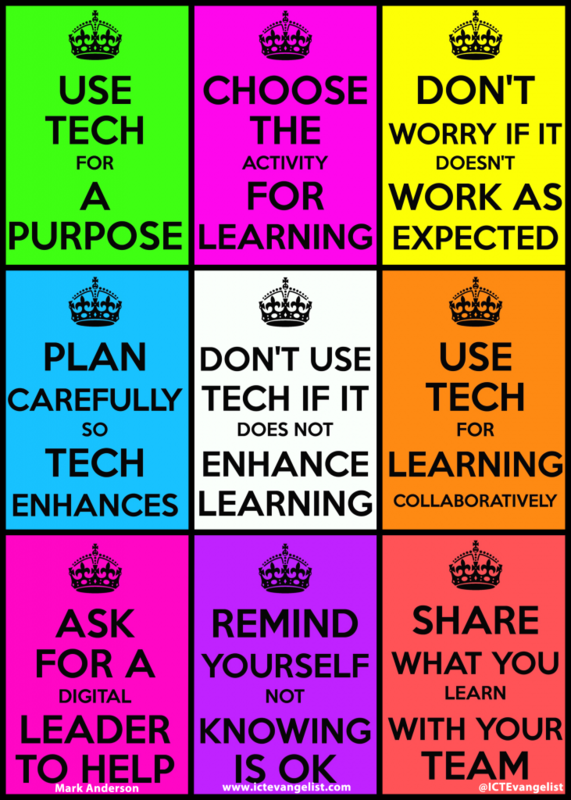 Remember, it’s not about losing the analogue or only using the digital – it’s about using tech in purposeful ways so that in enhances the learning.